This year we have eleven (11) students, who are receiving aid for their studies. In Honduras, the public school system is free, but the children must pay for books, uniforms, back-packs, and miscellaneous fees, which means some poor kids can’t go without support. These scholarships help address that problem. The Ministry of Presence chooses the kids based on financial need and desire to study. Genesis– 1st grade, age 6. 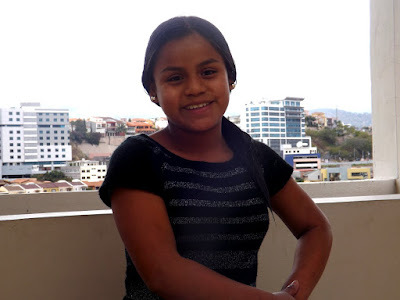 Alejandra– 6th grade, age 11.
but she is returning with help of the scholarship. the mother. 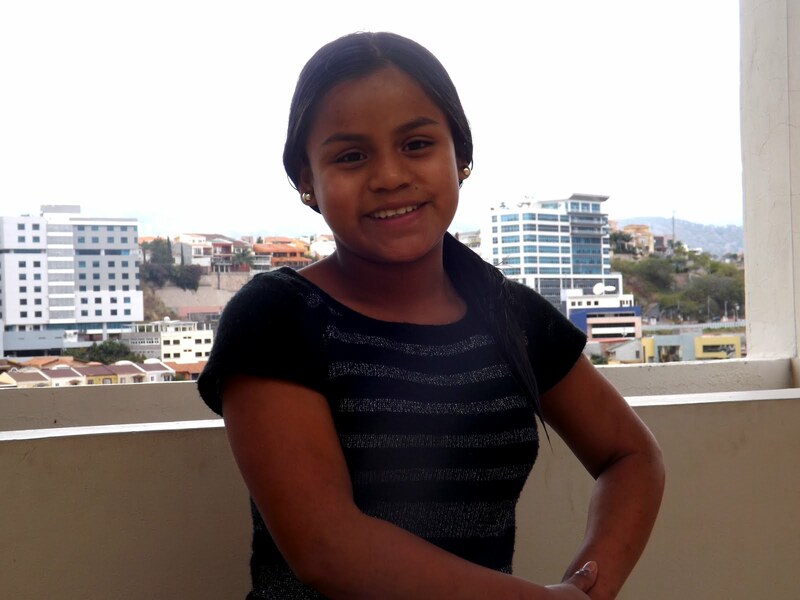 So Paty is registered and very much looking forward to school this year. Mario– 5th grade, age 11. At Cerro to Hula, in the mountains south of Tegucigalpa, the children of Santito Cruz, the cleaning lady in my apartment building. Johana- 7th grade, age 12. Brian- 9th grade, age 15. Bairon- 1st grade, age 6. At the Church of the Messiah, in Laguna del Pedregal, near Rincón de Dolores. 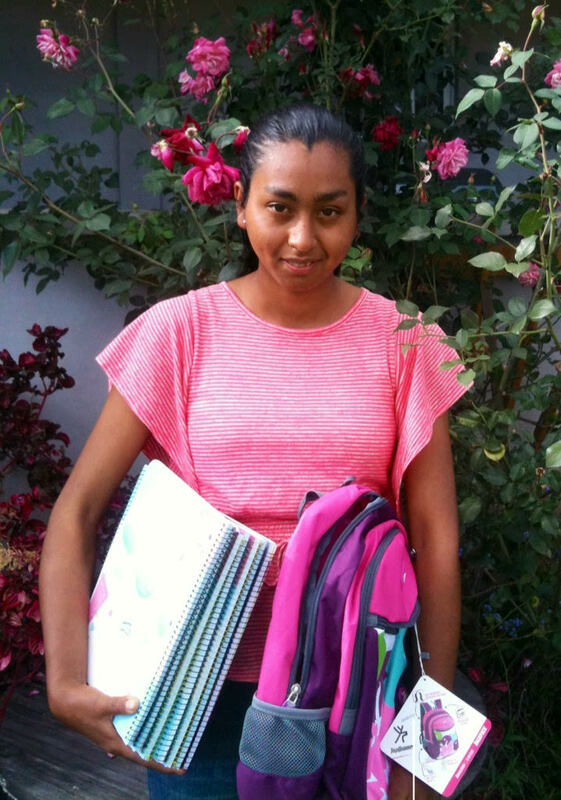 Marisella- 10th grade, degree in Tourism, age 16. 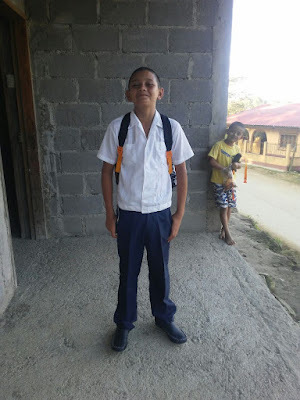 Eduard- 7th grade, age 12. A typical house in Cerro de Hula. 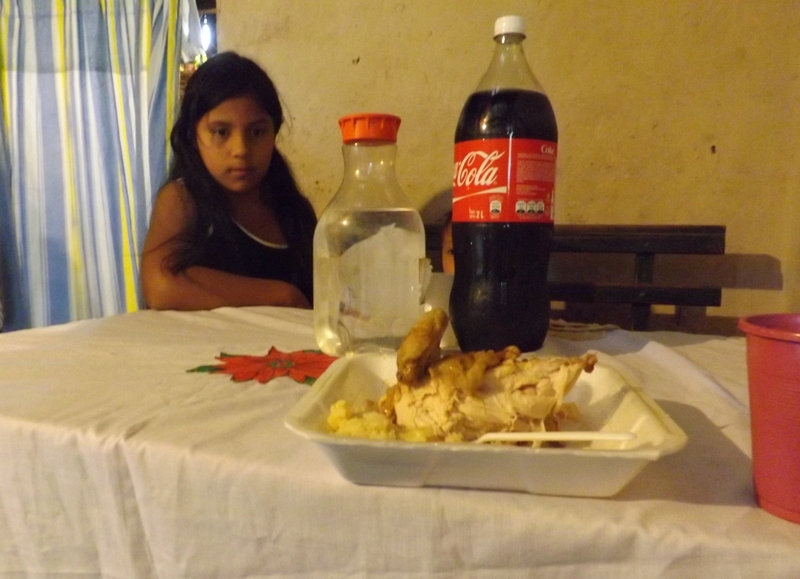 Joana, daughter of Santito, babysitting. Angela at sweet 15! The Cumpleañera cuts the cake. Boys practicing their piñata swings. The serious players step up. Your support has allowed the following projects to go forward in 2016. 1. Good Shepherd Church, Santa Maria, El Paraíso. In July of this year we consecrated the church as a culmination of a ten year mission project. For more information, click here. 3. Zamorano Diocesan Retreat Center, Zamorano, District of Francisco Morazàn. Last year we finished the schematic master design for the retreat center. But because the funds are currently limited, we decided to build the cafeteria first. We will be starting the foundations shortly. Cafeteria with a view toward the chapel beyond. 4. St. John’s Bilingual School, Siguatepeque, Comayagua. After a long delay, again because of lack of funds, we finally have been able to go forward with the cafeteria roof. This is the first building designed for cooling by natural ventilation. There is no air conditioning. The roof is insulated and large windows open to the cool breezes outside. 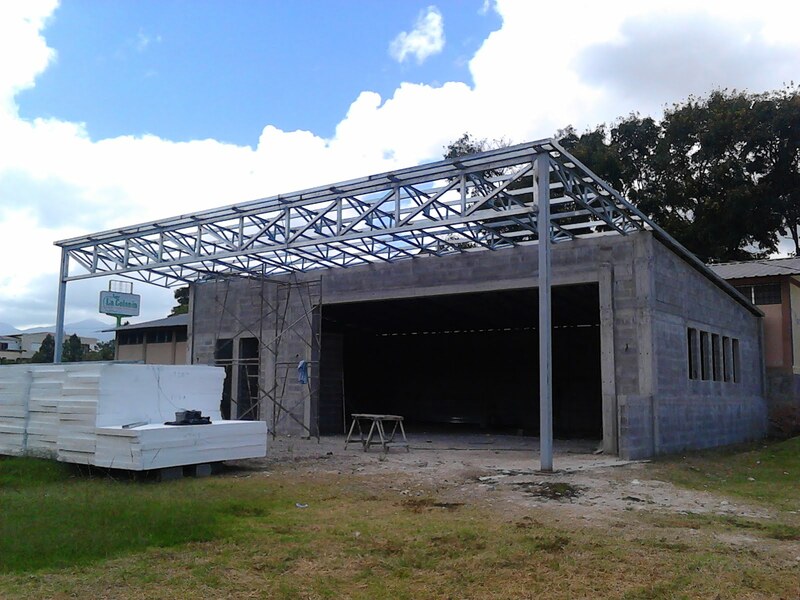 Future Cafeteria of St. John’s Bilingual School in Siguatepeque. It will be temporarily used as classrooms until the rest of the school is finished. 5. Taffy Hospice, Corinto, Puerto Cortes. This hospice is being redesigned to make it more friendly to guests. Bishop Allen is considering using the building as a halfway house for Hondurans deported from the U.S. 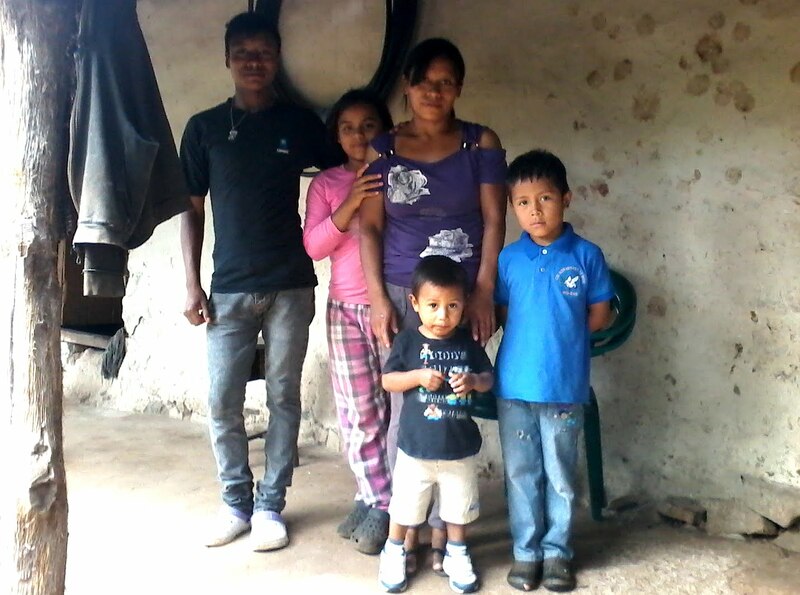 It will help them resettle again in Honduras. A evening service at the Church of Emmanuel. 7. St. John’s Bilingual School Athletic Field and Playground. Puerto Cortes, Cortes. Still in schematic phase, we are planning an Athletic Field in an empty lot, which we own next to the school. One proposed design for the Athletic Field. The playground is in back. 1. Outreach to the community of Cerro de Hula, District of Francisco Morazàn. After becoming friends with the building cleaning lady, Santito Cruz, I realized how poor she was. She earns about $120 a month and has the responsibility of feeding, clothing and educating four children. She invited me to meet her family, which I did. I have started to find ways to help her and the community. Santito’s house in Cerro de Hula. 2. 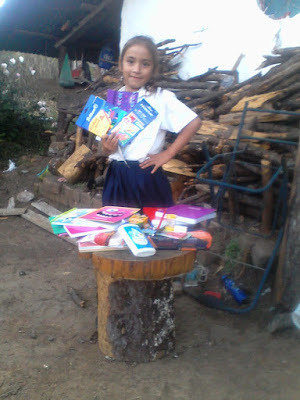 Scholarships for children in Cerro de Hula, Rincon de Dolores, Las Cruces, Copan Ruinas. For the last three years I have been providing scholarships through the Ministry of Presence. 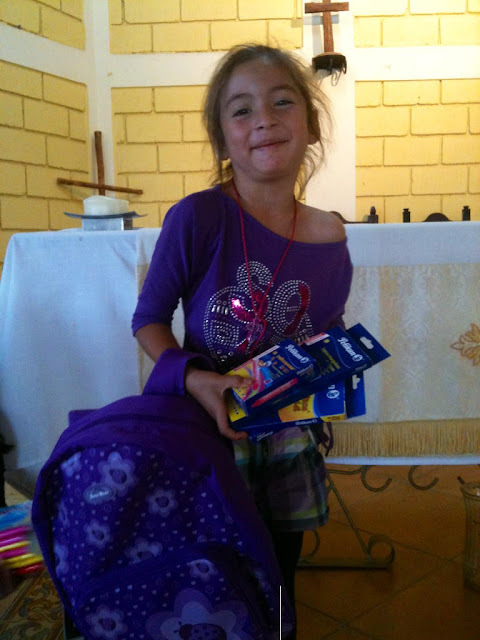 Right now, we are supporting twelve kids with the extra costs and fees required to attend school. shows off her backback and school supplies. 3. Medical assistance. Since no one has health insurance, a medical crisis can be serious and even fatal. The Ministry of Presence has helped people buy asthma respirators, blood thinning medicine and other items. It has also assisted with doctor’s bills. 4. Economic development. 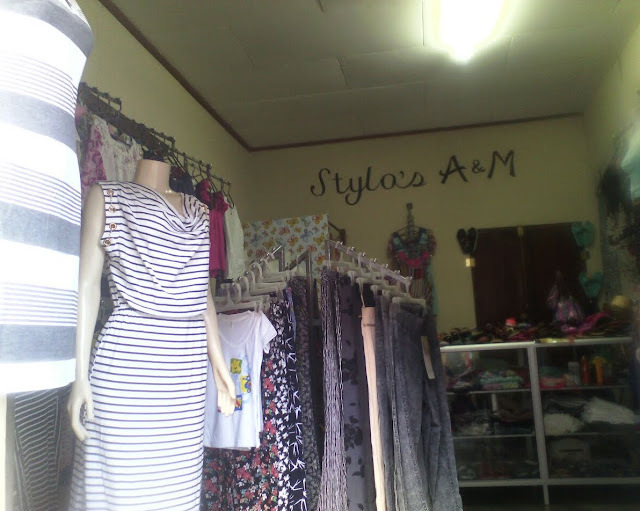 The Ministry of Presence has helped a young woman in Copan Ruinas start Stylos Copan, a women’s clothing shop, which now has been running successfully for one year. 5. Loans. Although people are poor, they are also proud. The watchman at the office is poorly paid. Accordingly, he borrows from the Ministry of Presence at no interest and faithfully pays it back on payday. He is one of several people that we are helping. 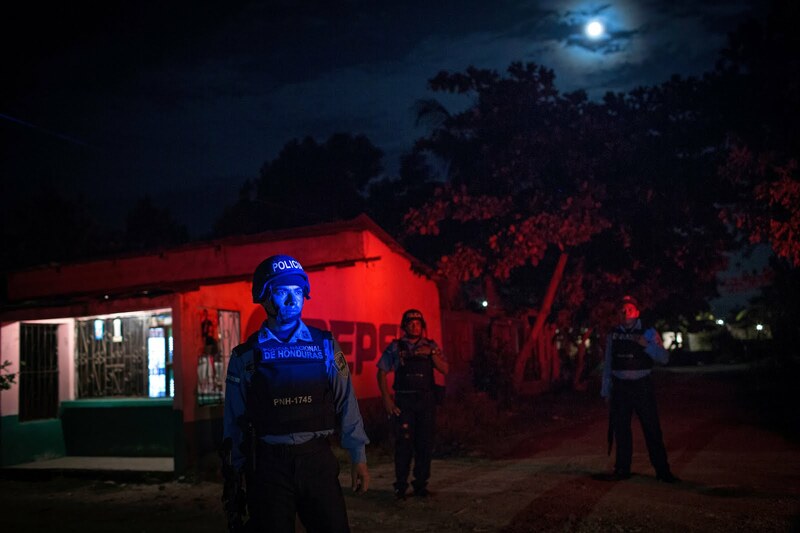 transform Honduras. Who says American power is dead? It has been very busy here. In January, the beginning of the school year in Honduras, we supported five poor children in the mountains around Tegucigalpa and two in Copan Ruinas, as part of the Ministry of Presence. 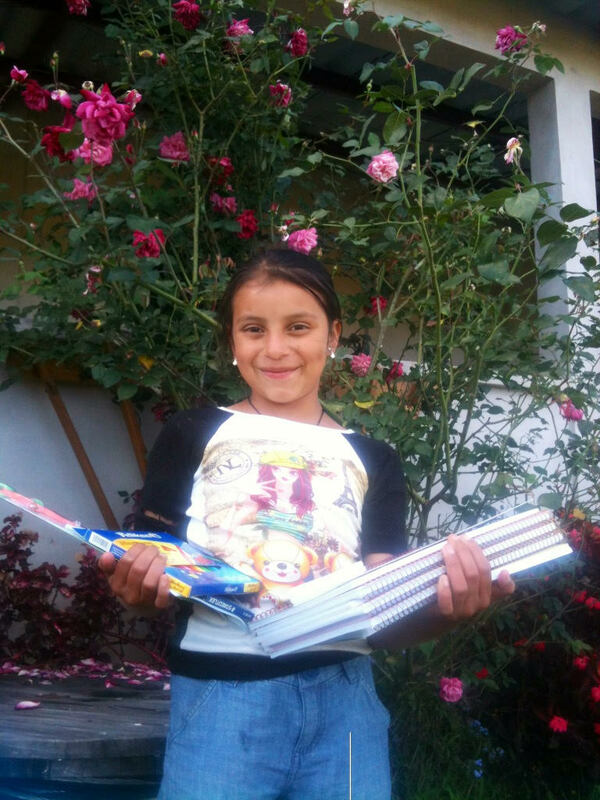 We helped them with school costs such as books, uniforms, and school fees. Our goal is to maintain a relationship and continue supporting them until they graduate. In April, I had the opportunity to attend the New Wineskins Conference for Anglican missionaries around the world, held in Asheville, N.C. It was a very inspiring time. Back in Honduras, I have been nursing two churches toward completion. Buen Pastor Church (Good Shepherd) in Santa Maria has just been completed and consecrated by Bishop Lloyd Allen on June 26, 2016. See the articles below. 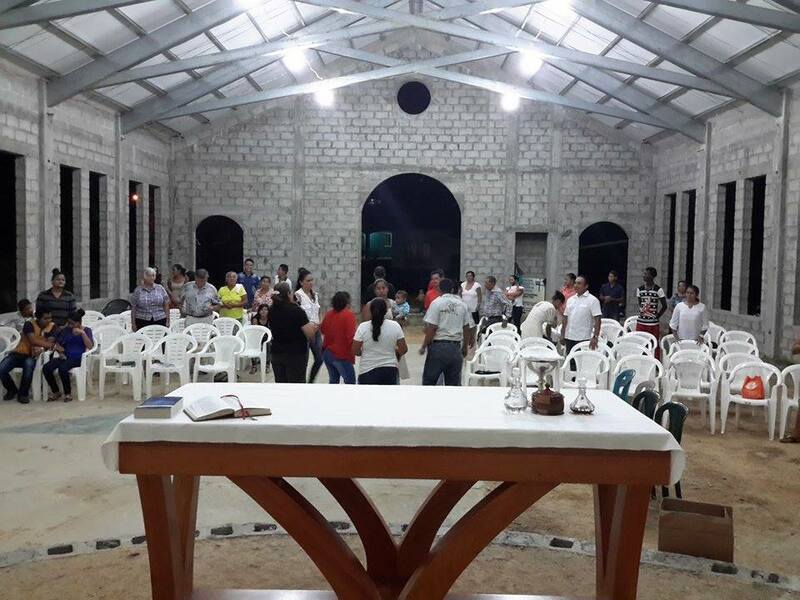 Emmanuel Church in Roatàn moves forward with the installation of a new roof. That in itself was a challenge. The boat carrying the steel set sail at night in a storm and foundered on a reef outside of La Ceiba harbor. In the morning, salvagers fell upon the boat and stripped it bare. No problem. The ship owners have insurance. Or so we thought. It turned out that they had neglected to pay their premium, so the insurance was cancelled. Thanks to God, a church in Canada came through and we were able to buy more steel for the roof trusses. Here is the video of the boat on the reef, taken by a La Ceiba news station. Click here. St. John’s Bilingual School is ready to move ahead again. A church in Texas has raised money for the completion of the roof. Like many of these projects, the shortage of funds has hampered the progress of this school. This building should have been finished two years ago to provide much needed classroom space. Please pray for the school. Also please keep praying for Honduras during this threat from the Zika virus. I knew many people in Copan Ruinas and Tegucigalpa, who caught Chinkungunya, which is transmitted by the same mosquito. Zika is much more insidious because of the permanent damage that it causes to infants. So far we’ve been fortunate. Few cases have been reported.